By request, the next company profile in the essential oils series is Mountain Rose Herbs. As their name implies, Mountain Rose Herbs is more than an essential oil company. They also sell teas, herbs, and hydrosols, (see list below for more). I decided to interview them early on because I saw so many people referring to the them as a respected company within Facebook groups and other blogs. I received products free of charge from Mountain Rose Herbs in order to write a comprehensive company profile that includes my personal experience with the oils/products. This post contains affiliate links, which means that if you click on one of the affiliate links, Marvy Moms will receive a percentage of any sale. This does not affect the amount you will pay for an item or service and in no way changes opinions expressed by Marvy Moms or Marvy Moms writers. For more info, see Marvy Moms Disclosure Policy. Other Products Sold: Herbs & Spices, Teas, Butters, Carrier Oils, Clays, Cosmetic Salts, Wax, Aroma Oil Blends, Aroma Sprays, Candles, Diffusers & Burners, Hydrosols, Kits & Samplers, Bitters, Elixers, Syrups, Herbal Capsules, Extracts, Tincutres, Herbal Oils, Lozenges, Salves, Massage oils, Bath & Body Products, Facial & Hair Care, Containers, Home Goods, and More. The Eucalyptus and lemon I received from Mountain Rose Herbs seem like fine oils. I especially like the lemon as it makes me think of all things clean and gives me a happy feeling. I can practically taste it when I smell it, as if I’m eating some yummy lemon hard candy (however, I would not want to actually ingest any essential oil). Both are organic which is a definite plus. It’s especially important that cold-pressed citrus oils are organic since any chemicals on the outside of the fruit come through into the oil. Is Mountain Rose Herbs dedicated to supplying essential oils to the aromatherapy practitioner market and educated public? Is Mountain Rose Herbs on the small size and not a large corporation? Is Mountain Rose Herbs owned by an aromatherapy practitioner or essential oil specialist? Can Mountain Rose Herbs readily supply a batch-specific GC/MS spec report on each essential oil it sells? Is Mountain Rose Herbs readily able to provide material safety data sheets (MSDS) as needed? Does Mountain Rose Herbs have a strong unquestioned noncontroversial reputation in the field? What makes Mountain Rose Herbs different? 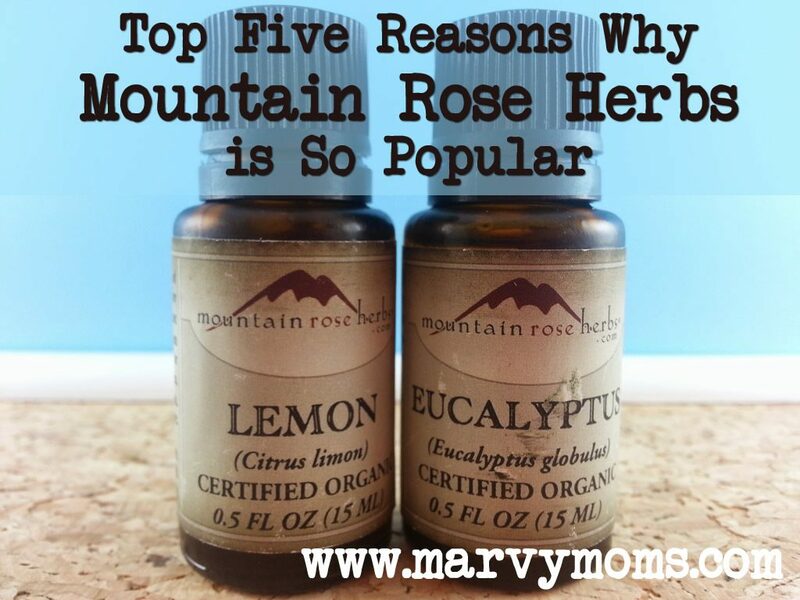 With over 250,000 likes on Facebook, it’s clear that Mountain Rose Herbs (aka MRH), is one of the more popular suppliers of essential oils and other products. Their focus on educating customers is a definite draw. 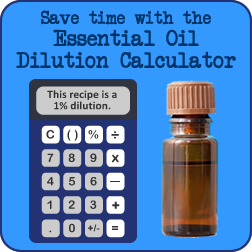 Their blog announces new products and provides information and recipes for both essential oils and herbs. I like that the make it easy to make your own aromatherapy products and herbal remedies, however, if that’s not your thing, then they have several pre-made products to choose from. They have over 40 how-to videos on their YouTube channel. Here’s one video where they show you how to make lip balm using essential oils. Branding: As a web designer, I am especially tuned into branding, and Mountain Rose Herbs takes great care to ensure brand consistency. Why does this matter? It matters because it tells me that if they are this good at paying attention to detail, then that most likely carries over into how they select, prepare, and store their products as well. They have beautiful marketing materials including a catalog, product guide, flyers, etc. When Kori sent me the essential oils, she wrote me a handwritten note on a MRH branded note card. Within the card she included her business card and two fun stickers that said, “Make Tea Not War” and “Kiss Me I’m Organic.” The Mountain Rose Herbs logo was stamped on the outside of the shipping box. These nice little touches mean a lot from a company with over 160 employees. Printed Materials: The product catalog I received includes 20+ herbal recipes, including an essential oil blend recipe, a Sprouting Seeds how-to, and How to make a tincture. This is a seasonal catalog, and each edition has different recipes and tips. I’ve already received my Fall/Winter catalog, and plan to keep old issues like I would a favorite magazine. In addition to the catalog, they also sent me a product guide. It gives basics about Herbs & Spices, Organic Teas, Herbal Extracts, Epicurian Organics, Carrier Oils and Essential Oils. There is a how to for herbal infused honey, tea blending and storage tips, and a diagram of the distillation process used to make many essential oils. I love that their printed materials are compact, have beautiful graphics and photographs and are full of information without making me feel overwhelmed. Online Presence: Mountain Rose Herbs is on Facebook, Twitter, Pinterest, YouTube, and Google+. They have an informational blog and email newsletter. They put out information on some or all of these channels on a nearly daily basis. They provide information and listen to customers. They are currently in the process of conducting an online customer survey where customers can voice opinions and offer suggestions. Fill out the survey (before 12/21/14) and you could be one of two people to win a $100 gift certificate. Variety: I was a little concerned about a company that doesn’t sell only essential oils, but I actually really like that they have herbs as well as essential oils. After all, I’m currently studying both aromatherapy and botanical medicine, and know that they work well together. I’ve actually found it really difficult to not do them together. The first issue I asked about in an aromatherapy Facebook group (chronic bruising for my uncle) had a reply of using lavender in yarrow-infused olive oil. I went to my local natural foods store and bought dried yarrow. That was fine for a small amount, but it’s nice to have a source for so many different things in larger quantities. They also carry just about everything you need to make your own products like carrier oils, hydrosols, butters, clays, wax, and packaging. Organic: Mountain Rose Herbs is committed to carry products that are not conventionally farmed. When they are unable to get certified organic materials, they choose the next best thing such as ethically wildcrafted or grown without chemical intervention. As I’ve mentioned before, I think it’s wise to remain open to buying from several different sources, however, I’m sure that there are at least a few things that I will regularly purchase from Mountain Rose Herbs. Great review! Mountain Rose Herbs is a true role model in the herb and essential oil industry. Thanks for asking great questions…in this day and age of unsafe practices and illegal marketing, it is nice to see a blogger who actually does their homework! Thanks, Sue! My hope is to help people to make educated choices based on solid information. I couldn’t find these answers anywhere (without a lot of effort), and I’m happy to share what I’ve learned with the next person trying to sort it all out. Catching up on your past profiles. I have the “make tea not war” sticker on my fridge, I made it into a magnet. They’re a local company to where I grew up and my mom sees them at all the local fairs and home shows. Their website doesn’t accurately represent their stock. I was really looking forward to receiving my order – instead I received the $3.75 muslin bags and a slip of paper telling me the main item was on backorder, for 2-4 weeks, maybe more. I was also charged the full price for shipping ($9.74). A business isn’t just the product they sell – it’s the advertising, service and delivery that goes with it. Every company has issues like this every now and then. Hopefully you were able to resolve this with MRH and it won’t happen to you again. I’m guessing that if you call them they will do what they can to help, although aside from shipping charges, stock issues are a matter of waiting. I know, for instance, that this time of year there is a run on elderberries everywhere and they go from highly available to not so much quickly and then it’s a matter of waiting. In that case, I’d be happy to be the first on the list to receive them rather than risk missing them again. I hope it all works out for you!